Press the Alt + T to bring up the Tools menu. Click on Add-ons. 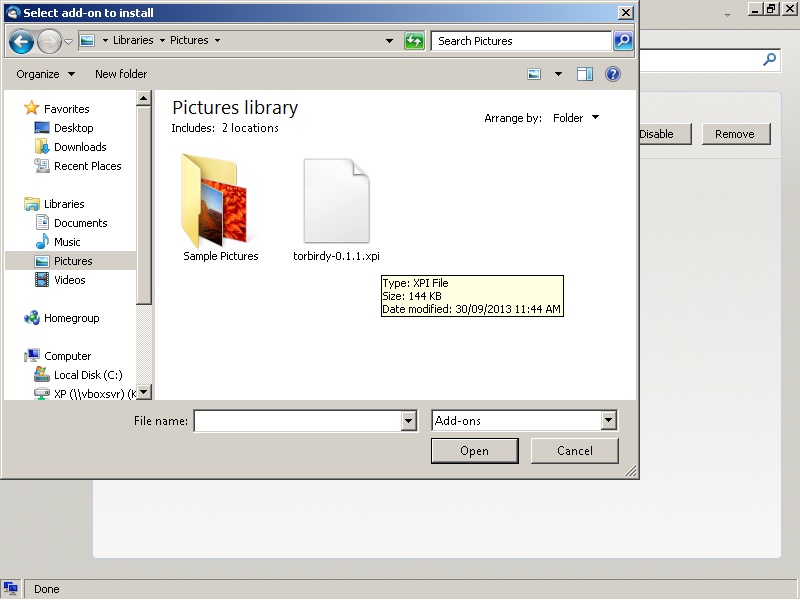 Click on the icon in the figure below and then choose Install Add-on From File. 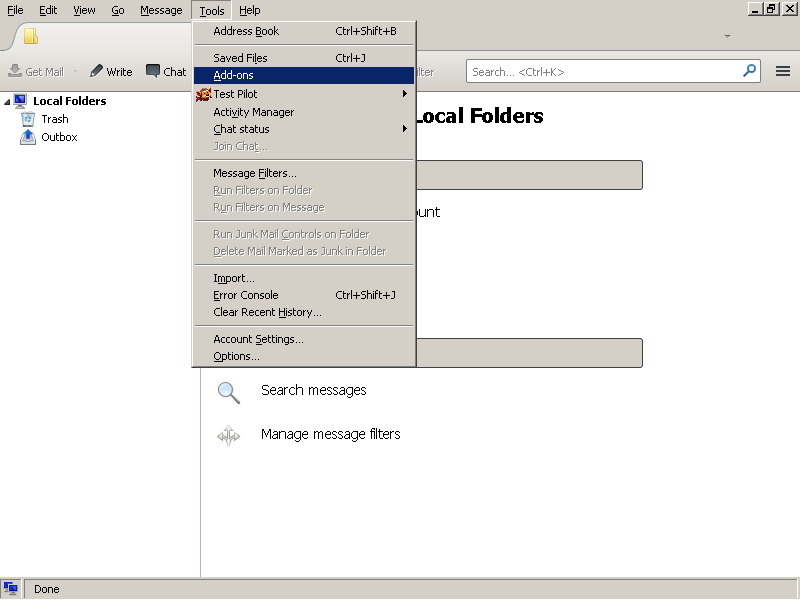 Browse to the location where the TorBirdy XPI (get it from ​Mozilla Add-ons) is saved and then select it. Click Open. 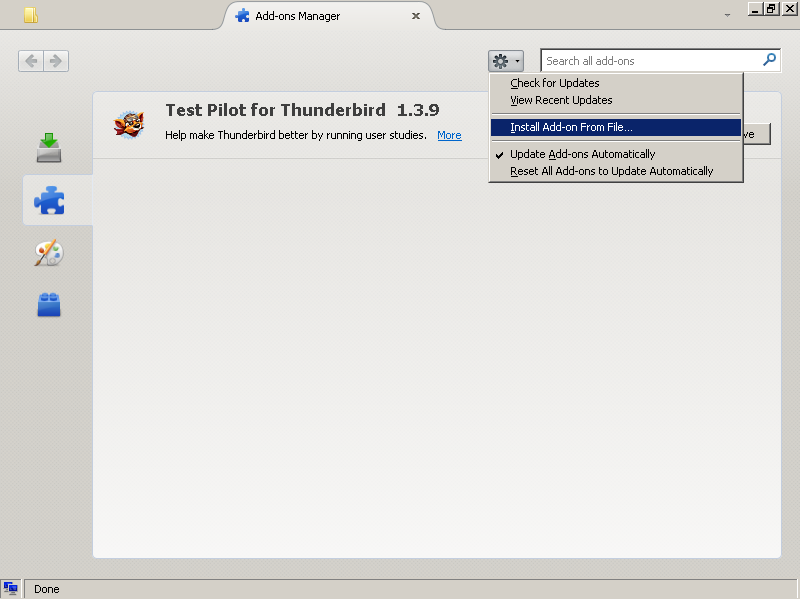 Restart Thunderbird to complete the process.